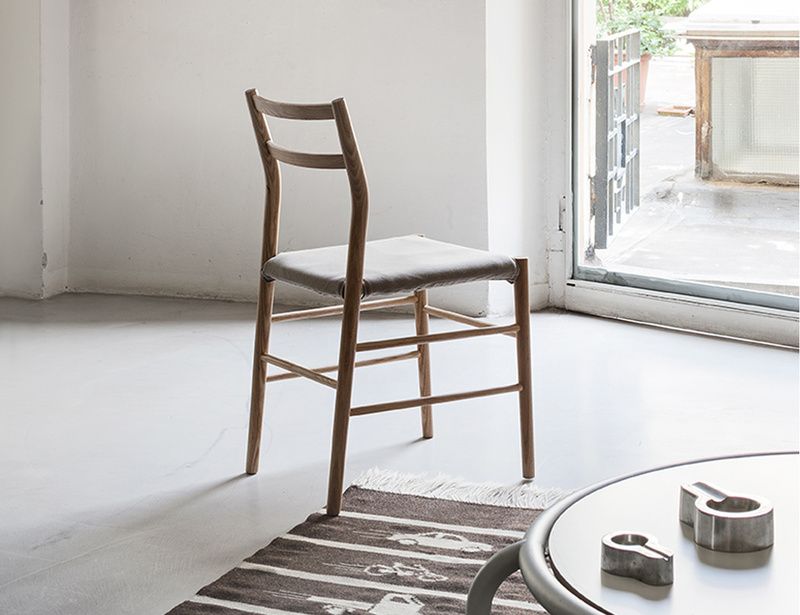 This project pays homage to wooden chair that has been produced in Chiavari, Italy for the last 150 years: a chair that even today still passes the strict modern safety tests. It is such a great construction concept. We designed it to be more modern, and above all more Muji. We also concieved a detachable, washable fabric seat instead of the original expensive Indian cane version.